I love Halloween. Getting a big bowl of sweets ready for trick-or-treaters, carving pumpkins and watching horror films. 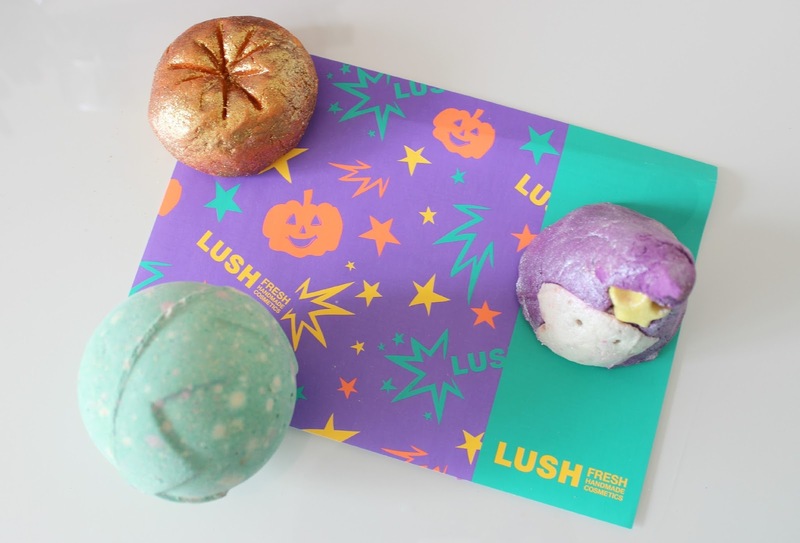 As a big fan of Halloween (and as someone who wishes we took it as seriously as America), I'm super excited about the Lush Halloween Collection which has something for everyone, no matter what your scent or pamper preference. The Sparkler Bath Bomb* (£3.50) is a crackling and fizzing Rose Jam scented bath bomb, promising to add a touch of explosive colour to bath time with a fiery, shimmering display. With uplifting and cleansing Sicilian Lemon Oil alongside balancing and restorative Rose Oil, the scent is incredibly soothing and subtle, perfect for those pampering bath nights. 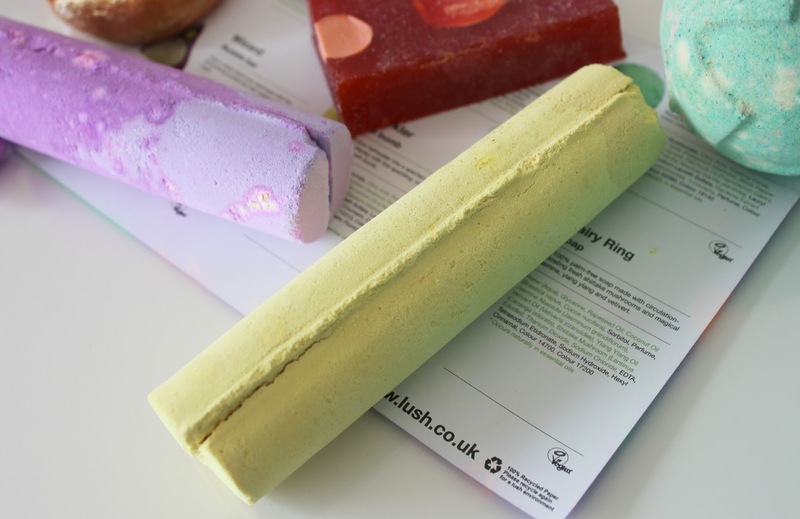 A long, rounded yellow bath bomb, it can be used all in one go or broken up to get more uses. With the same long, rounded design, Northern Lights Bath Bomb* (£3.50) is a purple and lavender creation with a middle that slowly dissolves to reveal blue and neon green, with a calming scent of Jasmine and Ylang Ylang. Love handmade soap? Then you'll love Fairy Ring Soap* (£4.50) which promises to do more than simply cleanse your hands and leave your smelling lovely. A 100% palm-free soap, it's been created with fresh Shiitake Mushrooms which are full of skin-loving nutrients and can even improve blood circulation as well as providing anti-bacterial properties. With Jasmine Absolute, Ylang Ylang and Vetivert Oils, the scent is beautifully mystical. 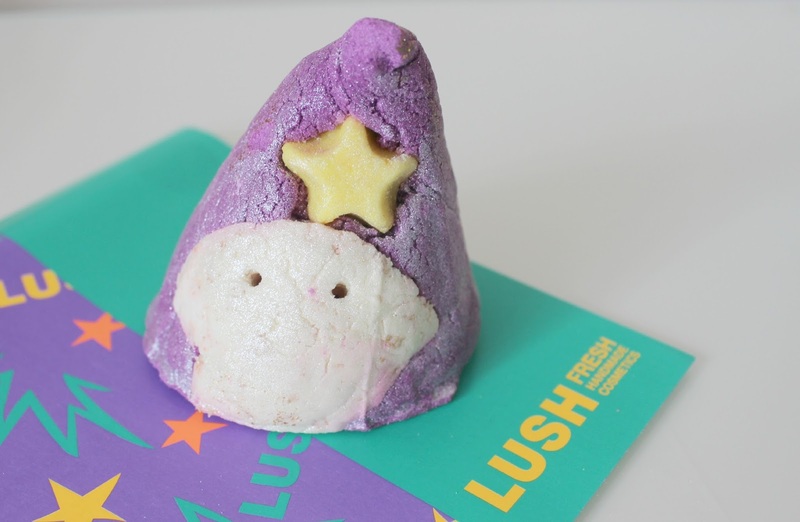 Wizard Bubble Bar* (£3.25) for me is the best designed piece from the Halloween collection, an adorable little wizard that promises a truly magical bath time. Containing energising Tangerine Oil and purifying Juniperberry and Fennel Essential Oils, it banishes stress helping you to recover with an indulgent bubbletastic bath. If you're a fan of glitter and sparkle, you'll love the Sparkling Pumpkin Bubble Bar* (£3.50) designed in the shape of a classic Halloween pumpkin. 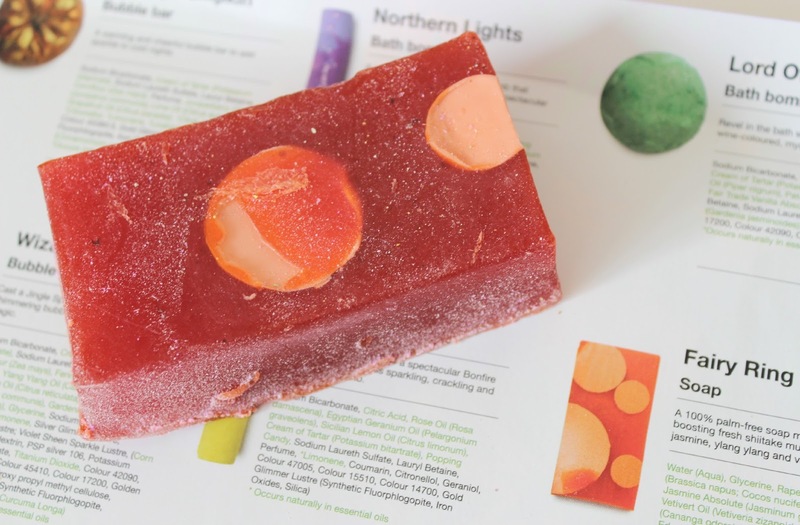 With an energising blend of Juniperberry, Lime, Grapefruit Oils and sparkling gold glitter, you'll be set to have a Halloween party right in your bath! 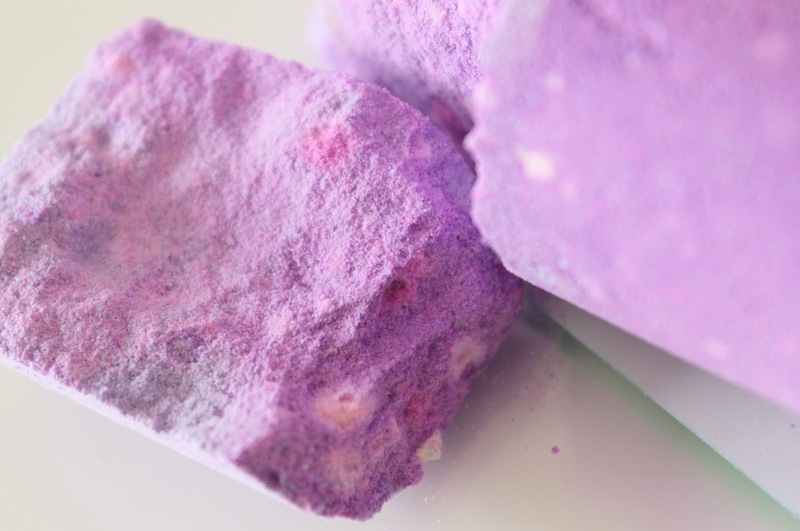 Bubble bars can be used once as they are, or simply crumble the amount you want to use under running water to get more uses. Last but not least, one for those who love a classic bath bomb we have Lord of Misrule* (£3.50). A mischievous bath bomb which has a spicy and herbal blend of Patchouli and Black Pepper Oil. Inspired by the Pagan Feast of Fools, the witchy-green exterior will slowly froth away to reveal a deep, rich wine-coloured centre with popping candy crackles. Oh dear, I want it all. The little wizard is too adorable, I think he'll be top of my list. I love the look of this range so I've ordered a couple of bits!